Good times are here for DMW rapper Aboriomoh Femi Raymond aka Dremo. A little over a week ago, Dremo released his “Codename Vol 1” EP. With the rapper’s project gaining more acceptance and good reviews another feat comes in the bag for the new school rapper. Dremo has been featured as the “Artiste of the Month” on Apple Music. He emerged top choice by editors on the digital music platform. 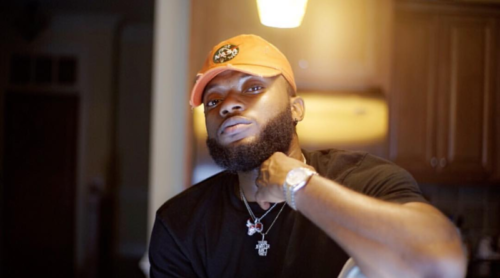 An excited Dremo shared the sweet news to his fans and followers.